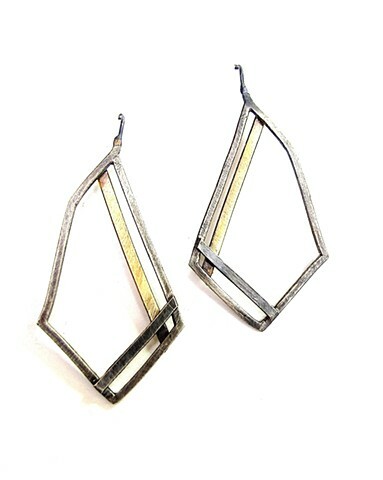 This angular silver "striation" earring with a brass accent pays homage to geologic shifts and anomalies. Just like those rocks you can't help but pick up because of the distinct stripe running through it. Available in oxidized or shiny silver, please specify.